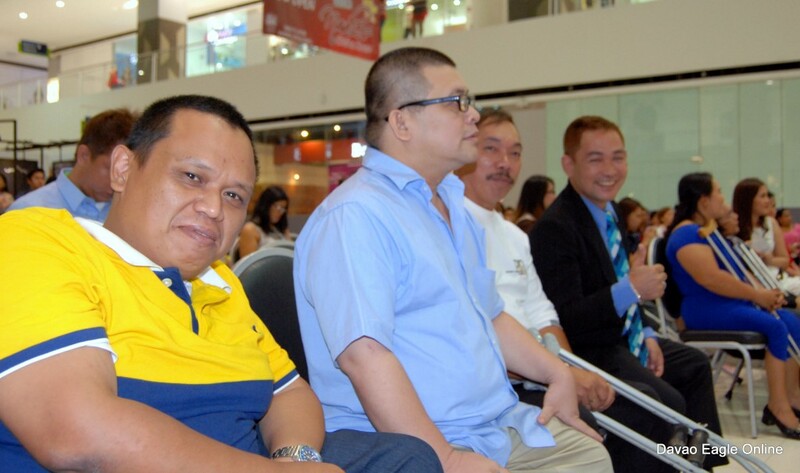 Davao City, Philippines – In celebration of the 37th National Disability Prevention and Rehabilitation (NDPR) Week, a Mindanao-wide hunt has been called to recognize the Persons-With-Disability (PWDs) who proactively engaged themselves to spark change for the lives of their fellow countrymen. 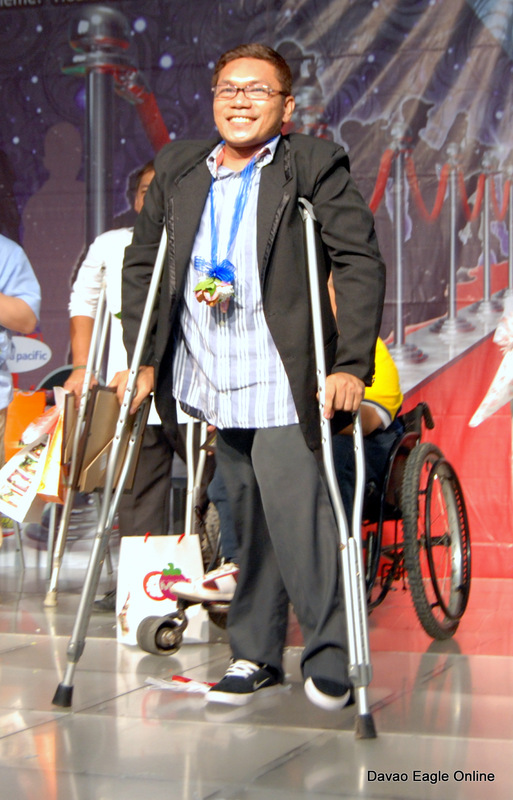 Through the efforts of Behind the Rolling Chair, a non-government organization (NGO), and Support the Employment and Livelihood of PWDs (Project SELP), an endeavor of Bigay Buhay Multipurpose Cooperative (BBMC), the event has pulled together a collective group of enthusiasts who sponsored and attended the awarding ceremony on July 17, 2015 – which started at five o’clock in the afternoon – in SM City Davao Annex. Cong. 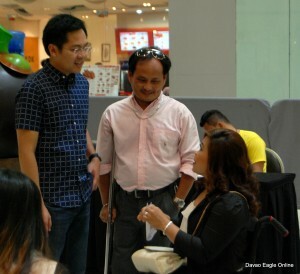 Karlo Nograles converses with PWD leaders. Patrons from different sectors gather to express their interest and support not just for the nominees but to the entire PWD sector as well. Public figures have not missed the opportunity to share their thoughts for the occasion. Although he has left before the start of the program, Congressman Karlo Nograles promptly converses his sentiments with the PWD leaders in the locale. 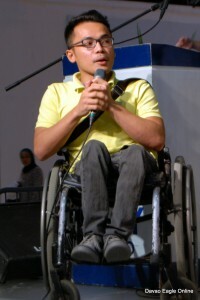 Further, Nor Rayray, the famous PWD keyboardist of the EZRA Band from Pilipinas Got Talent (PGT) offered his voice and his talent to deliver an inspirational message for everybody especially with the PWDs. The first batch of nominees revealed. The candidates have presented themselves through various media – a pictorial exhibit in the venue, the Audio-Visual Presentations (AVPs) featuring their interviews, and privilege speeches – to acquaint the spectators about their own causes. 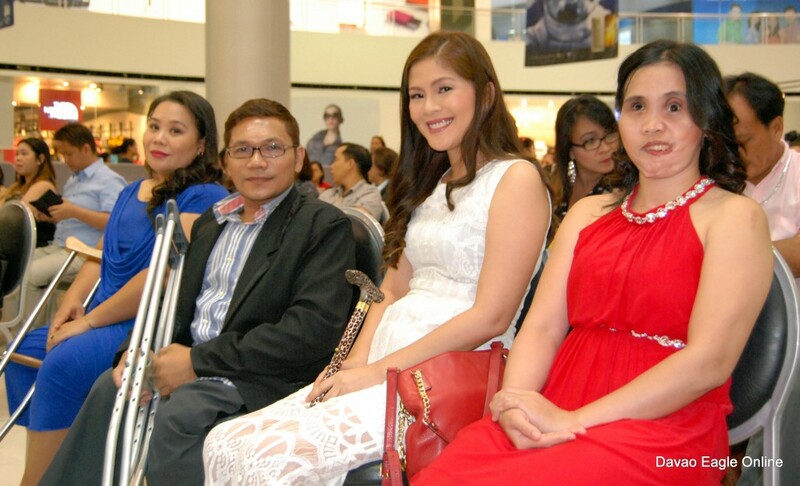 One after another they are revealed to the stage with Maricell Fornis – a blind from Davao City – as the first. 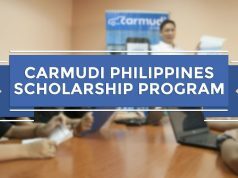 Shirlyn Macasarte, Ramil Jaictin and Geraldine Gonzaga – all orthopedics from the Province of Cotabato, Butuan City and Davao City respectively – followed in order. The last batch of nominees revealed. After a song intermission, James Infiesto, Rene Aaron, Rannie Gimeno, and, finally, Joel Escol – who are orthopedics from Davao City, Davao Oriental, Digos City and Bukidnon as mentioned – complete the sequence. Four honorable judges scrutinize the profile of each candidate from individual achievements and the services they have offered to the community, to – foremost – the unique advocacies they pursue. To wit, Engr. 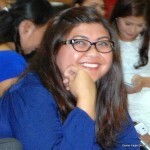 Darlito Palermo, an Apolinario Mabini awardee, Ms. Juliana Palermo – Hiyas ng Kadayawan 2002 –, an actress turned entrepreneur, Fr. 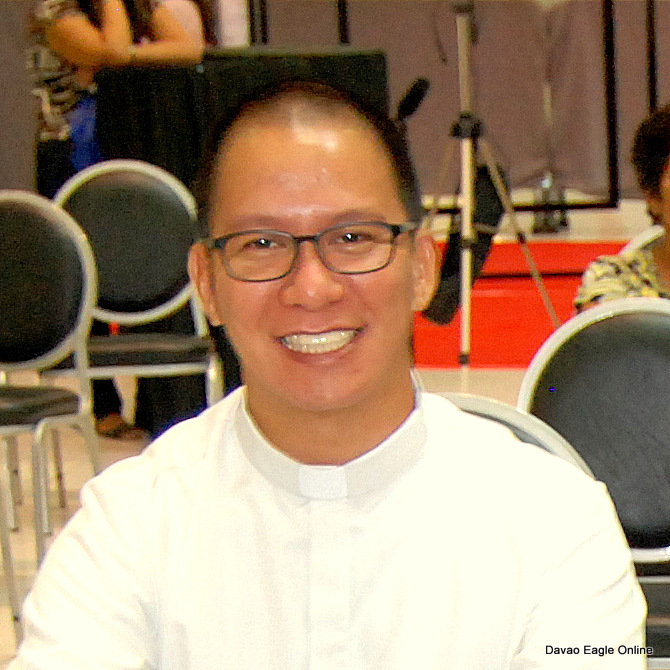 Leomel Puerto, Youth Director at Davao Archdiocesan Youth Coordinating Apostolate (DAYCA), and Ms. Precious Legario, the SMCity Davao representative have made their assessment. While final tabulation and audit of scores proceed, James Infiesto and assistant Fr. Leomel Puerto – who is persuaded to volunteer himself – have entertained the crowd with a comic presentation of magic tricks. They are being succeeded by a serenade of Ramil Jaictin with one song he particularly composed – the lyric goes ‘…Kahit maykapansanan, tuloy pa rin ang laban…’ or ‘…Even with disability, the fight continues…’ – for the PWDs. 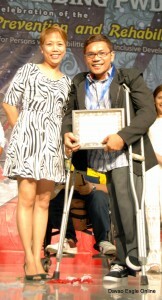 Naprey Almario reaches the awarding cermony. Before the most awaited announcement, tokens and certificates have been awarded to significant guests honoring their dedication for the PWD sector. 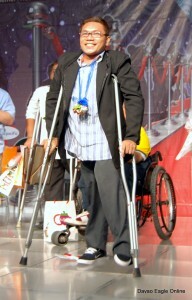 Naprey Almario – the person behind the search – has left a message through an AVP about his absence in the event due to an errand to represent the sector in Luzon, but the volunteer organizers have delayed ample time for his arrival and eventually, he receives the honor of entitling the first outstanding PWD in Mindanao. 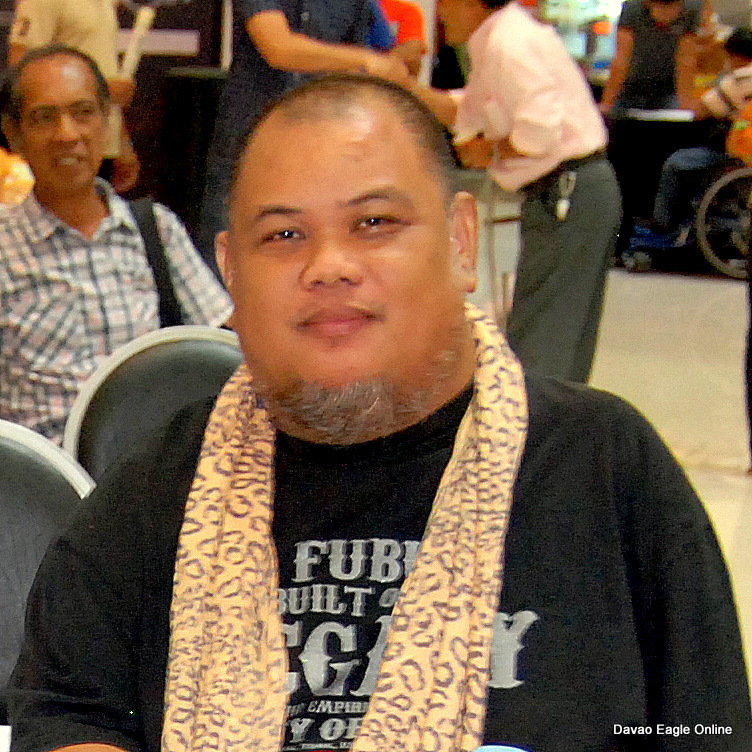 The search is over for the eight nominees competing for the pioneer title of “Outstanding PWD in Mindanao 2015” as Ramil Junasa Jaictin, 39, founder of the Kids for the Future Philippines from Butuan City, garners the award. 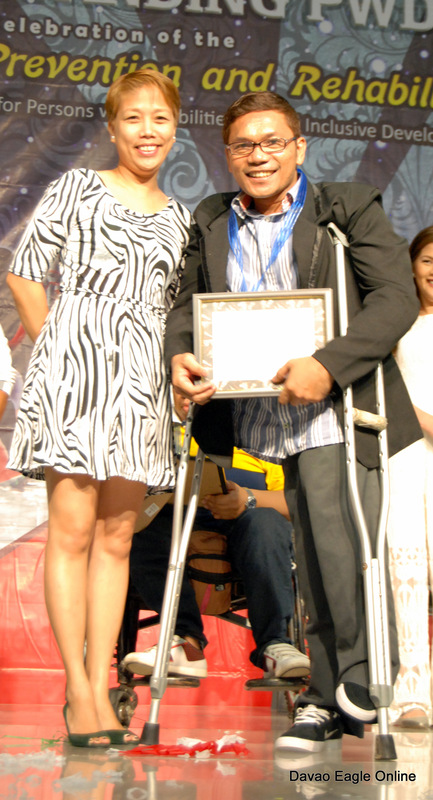 Ramil Jaictin stands proud as the Outstanding PWD in Mindanao 2015. As the 7th member of their family with the majority of females, he has been greatly challenged to earn for a living especially that he lost his parents early. He has driven himself to prove that he could be able to do things in life with heart on his own despite the negative perception (for PWDs) from the society. Today, the perspective for the PWDs has changed greatly through better education and awareness pursued by different sectors supporting them. Also, they are slowly being integrated within the society to function like fully-abled workers indicating a milestone for the PWDs. Ramil Jaictin receives his certificate of participation from the organizers. Also an advocate of the youth, he encourages them with or without disability to take heart and involve themselves in helping other people because they are the future leaders and citizens of the country. The youth must act giving time for the people and not just let themselves be brought about by the tide of technological advancements. Finally, he calls for the unity of all PWDs to movefurther and farther than what the sector has achieved today. 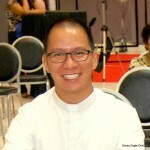 An aspirant writer and correspondent for Davao Eagle Online. He likes adventure but only engages leisurely. He might be interested on a wide range of subjects, but nature is what he appreciates the most.